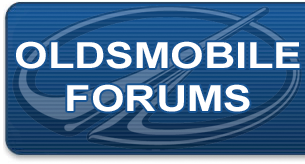 Oldsmobile 88 RWD Forum specifically intended for Oldsmobile Eighty-Eight (88) rear wheel drive based discussions. Hello all. I am experiencing slight hesitation and Starting off from stopped position or sometimes from acceleration. Would anyone have some ideas where I should start looking? Adjust carb, those are ecm controlled for idle only,,,need multimeter, recheck cap and rotor and timing too. Hi moevus, thanks for the tip. An old mechanic I used to use while I lived in Hamilton Ontario Canada took the car for a drive and knew exactly what was the issue, he cleaned and took apart the carb. He also said he drilled some holes on the bottom (not sure what he did) but it now runs like it is new!